This past week has been non-stop entertainment if you happen to be on the right side of the political horseshoe. In the wake of outrage over the unpopular New York late-term abortion bill, the Democratic Party was hit with a sweeping tirade of controversies. 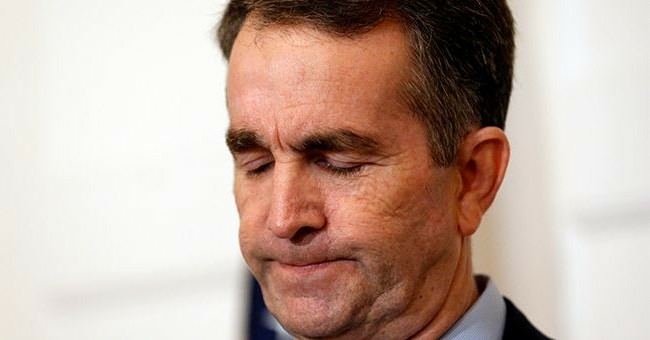 Virginia governor Ralph Northam faced hostility when a racist yearbook photo of him in blackface was unearthed. Lieutenant Governor Justin Fairfax was charged with sexual assault in the exact same state. Minnesota Rep. Ilhan Omar was just recently accused of anti-Semitism on Twitter. Yes, Christmas has come ten months early for us conservatives and even leftist news outlets have been lapping up the story like a cancer cure. However, have you noticed something missing in the midst of all of this Democratic hatred hype? A certain controversial decision that's been left in the dust in favor of stringing up the leftist politicians like a piñata? Well, if you've been religiously following the Northam/Fairfax/Omar barbecue then you probably haven't. And that's the problem. After the abortion bill in New York received national backlash, the Democrats were in a serious bind. How do you get the people back on your side when you're being attacked from all angles? You give the people what they want: a scapegoat. And The Virginia Pilot was kind enough to give them one. The media changed the beat and conservatives willingly marched along with it. I understand why these controversies are so enticing to people on the right. It's entertaining to watch Democrats get boiled in the controversy pot instead of Republicans for once. After years of leftists painting right-wingers as racist, this photo reveal is poetic justice on an immensely satisfying level. But the fact is that in terms of news, these stories are Tootsie Pops distracting us from the five-course meal of the abortion law and the bills that are emerging in its wake. Think about it for a second: what is the actual story here? A few politicians did some things that are landing them in hot water. That's pretty much it; there's no public opinion angle because everybody can agree that what these people did was wrong. There's no development that can be had other than "Will they resign or not?" And there's no point asking the question "What impact does this have on the country at large?" because the sins of one person behind closed doors don't affect the lives of millions. Bills and policies do. These stories are sometimes being used as shallow misdirections, to train our eye away from whatever we were angry about two weeks ago. It's not unimportant to cover stories like these; people should know the moral fiber of who they're voting into power. However, if we let these stories become the center of attention, then we've done exactly what the media wants us to do. If we continue to let the news control what we're angry about, then we give them the power to distract us from the actual issues in our country. Let's take control of the narrative for once; tell the media what we're angry about instead of them telling us what to hate. Let's stop allowing the newest scandal to control the direction of our efforts. And let's stop blindly following stories that pander to our own political biases. I know that the bait smells good; that's why it's sitting on a mousetrap.